1 :: Blue winter skies. It’s freezing right now, but that’s absolutely fine with me because it’s made for some beautiful winter days. Doesn’t everything just feel so fresh and hopeful when the weather’s like this? 2 :: Unbelievable food from Noodle Pudding in Brooklyn Heights. This place is so old school Italian and the food is absolute perfection. 3 :: Photobooths at Thought Catalog’s HQ in Brooklyn. 4 :: Spotting great street art in Williamsburg. 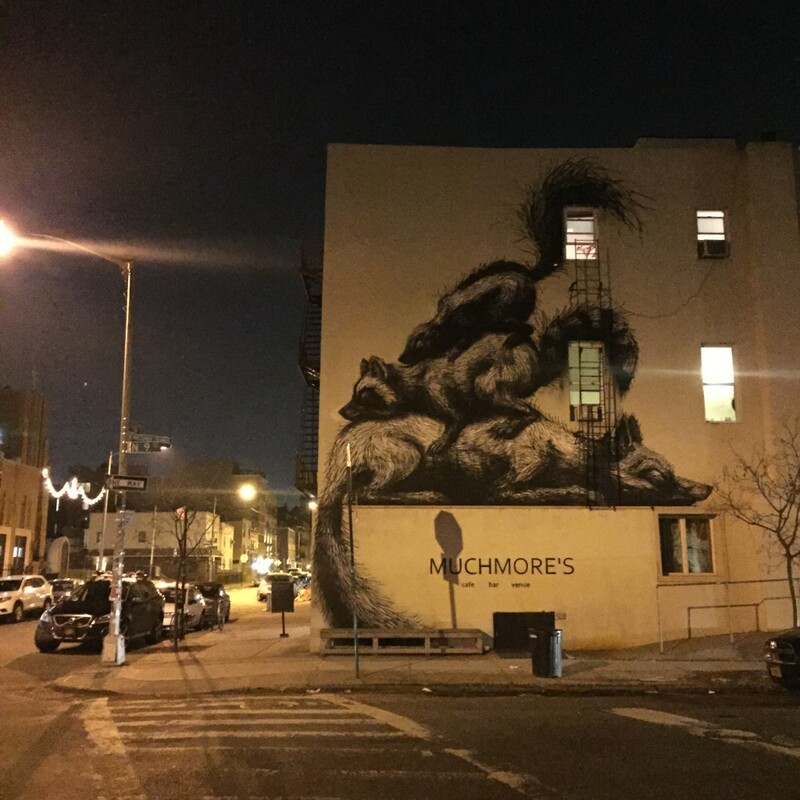 This piece on N9th Street is by ROA, whose scratchy animals can be seen across walls throughout the city. 6 :: …and cupcake displays at the always-amazing Georgetown Cupcakes. They pack them in individual boxes, which was handy for popping into Ryan’s lunchbox on his birthday this week. I hope you all had a similarly sweet week, and have a lovely weekend! I love those photo-booth photos! I love your week! 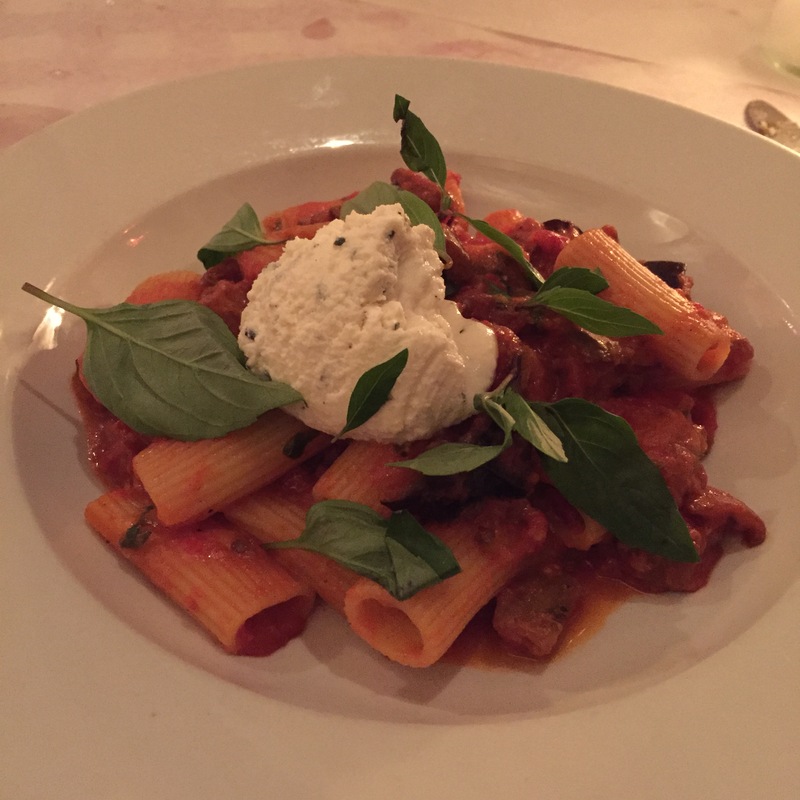 The pasta looks so yummy…well so does all the desserts. I seem to follow a few foodie blogs that post temptations, you including. 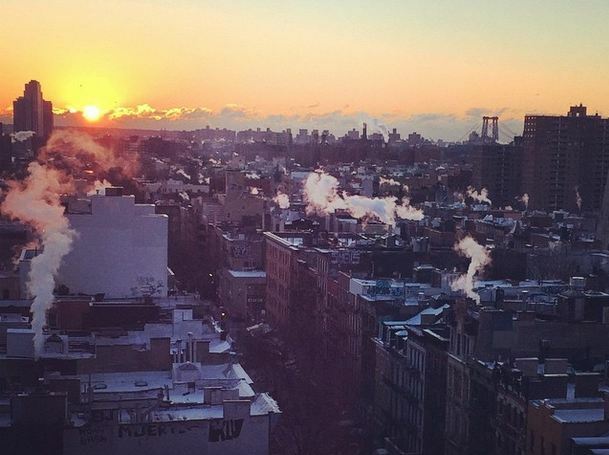 But since at this time of year I crave palm trees, I can resist new york. I hear you! Being in Florida earlier in January was far more comfortable, so I totally understand!